For today's Watercolor Wednesday, I am sharing a floral watercolor card using ink spray bottles along with gold heat embossing. 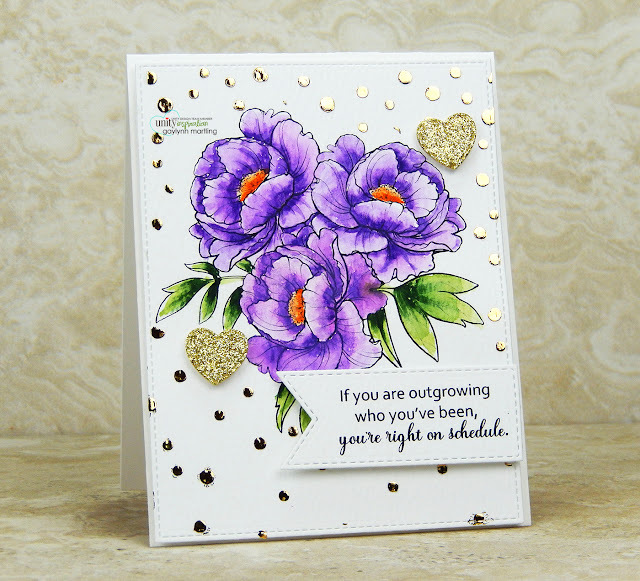 This is a housewarming card in florals and watercolor. I decided to use ink from premixed spray bottles for color. Instead of actually spraying the ink, I used drops of the ink as a color palette. For watercolor, I used two colors of Dylusions ink spray bottles. 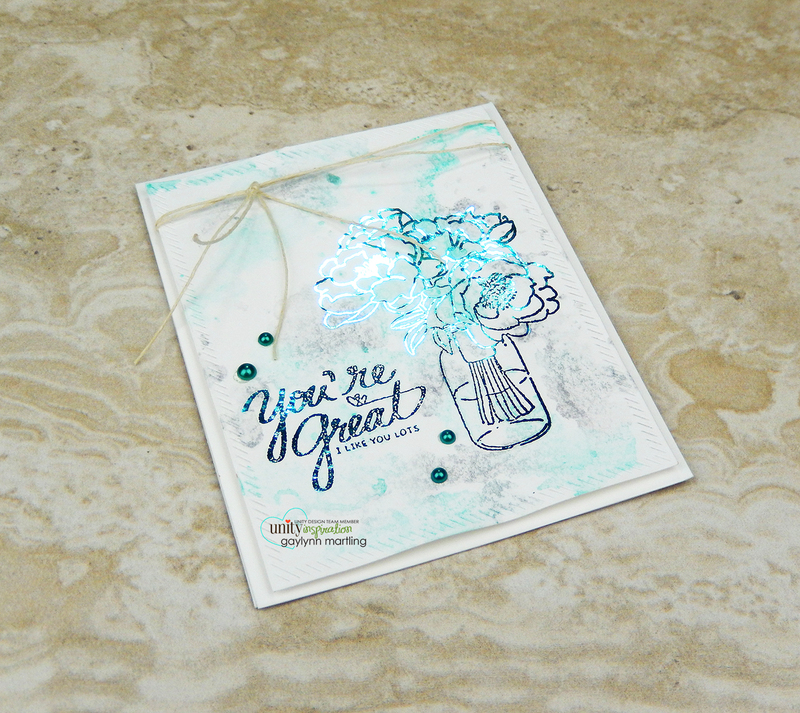 Instead of spraying, I poured drops of each color onto a craft mat. For the envelope, I added a stamped flower to match. Supplies: Unity Stamp Co. Inspired Minds and With You I'm Home; Ranger watercolor paper and gold embossing powder, original Misti, VersaMark, powder tool, Winnie and Walter dies, Dylusions ink spray in pure sunshine and postbox red; heat tool. For Watercolor Wednesday, I am sharing a floral card using deco foil transfer gel, a stencil, foiling and watercolor. I used a laminating machine for this technique. If you are outgrowing who you've been, you're right on schedule. This is an encouragement and inspirational floral card with touches of gold foil and with dimensional watercolor accents. Cool the foiling. Then carefully peel away the foil sheet. Supplies: Unity Stamp Co. Friendship Blooms by Gina K. Designs, gold iCraft deco foil and clear deco foil transfer gel; My Favorite Things stencil and die-namics, Altenew watercolor half pans, YourStory laminator, Ranger watercolor paper and archival ink; painter's tape, spatula, watercolor brushes, My Creative Time dies and heat tool. Today, the My Creative Time team is sharing tag projects for Tag It Tuesday. Sentiment: Happiness is a cup of tea and a good book. This doubles as a gift tag or a bookmark. I love the heart flower and the fun tea and book sentiment. Supplies: My Creative Time Pretty Heart Roses and So Many Books; ribbon, Copic markers BV08 V04, V06, V01, G0000, G21, Y02, E00 and E13; Sizzix Big Shot and Simon Says Stamp intense black ink for alcohol markers. Card stamping and coloring on vellum. 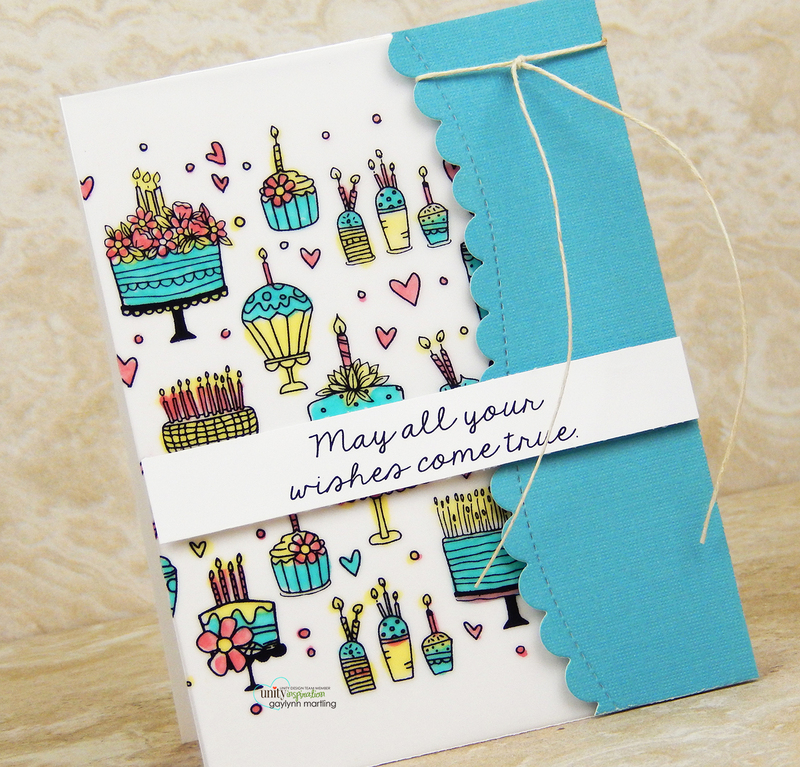 Here is a quick and easy vellum birthday card, which can easily be made in multiples. Sentiment: May all your wishes come true. For most of us, birthday cards are the cards we give out the most. This one would be perfect to make in multiples to have on hand in different colors to fit the person. It works for kids or adults, guys and gals, just by changing up the color choices. For this technique, I show how to get a soft look to coloring with markers. The secret is coloring on vellum. I like to stamp on one side of the vellum and color on the opposite side. This is one technique that I gravitate to when I need to work fast or want a softer look. Supplies: Unity Stamp Co. Cakes and Better With Age; vellum, solid cardstock, twine, Simon Says Stamp wavy scallop stitches dies, Copic markers BG49, R27 and Y15. Hello, Gaylynn here. 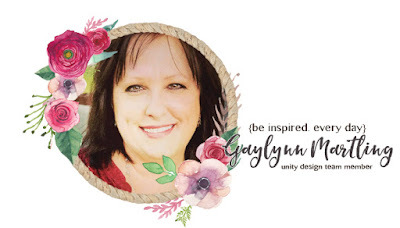 It is the My Creative Time 87th Edition release, sale and blog hop. This love card was made using the beautiful heart shaped rose stamps and dies. I also added the lacy heart and sentiment from this release. I kept this one clean and simple with just a few layers and colors. There are many possibilities with these kits for all year round. *** BLOG HOP GIVEAWAY *** For our blog hop giveaway, Emma is giving away a $25 gift card to the "My Creative Time" store to ONE LUCKY winner! ALL you have to do is leave a comment on each of our blogs! You are NOT required to comment on EVERY SINGLE blog, but the more you comment on, the MORE chances you have for winning! VERY IMPORTANT, PLEASE leave a way for us to contact you with your comment just in case "YOU" are the lucky winner! Below are the new kits that I used for today's project, but see the full release at My Creative Time. ALSO, DON'T FORGET our sale starts RIGHT NOW here:http://shop.my-creative-time.com/Ne...! Use the code: JAN2019 to receive a 15% discount off your entire purchase! This sale applies to "IN-STOCK" items ONLY. This sale will end on Friday, January 25, 2019 @midnight PST. Starting today... Friday, January 18, 2019 at 8am PST we will be giving away this ADORABLE new "LOVE Block Die". This new die will be given to the FIRST 25 shoppers! If you are one of the 1st 25 shoppers it will automatically be added to your package at the time of packing/shipping. Once 25 shoppers come through, this stamp set will be available for purchase! So, if it's available in the store, you are not one of the 25. No exceptions will be made. This freebie is not part of the "Bundle" and will be sold separately! 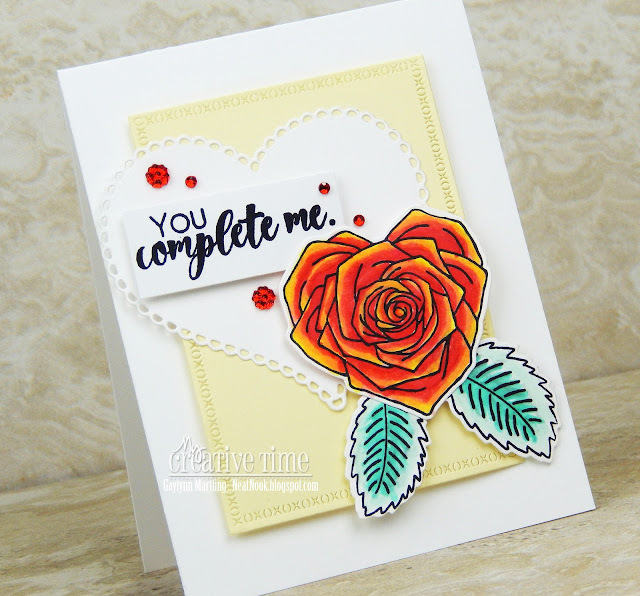 Supplies: My Creative Time You + Me and Pretty Heart Roses, XOXO Border Dies, Metal Adaptor Plate; Simon Says Stamp intense black ink for alcohol markers, Copic markers Y11, Y02, R27, R32, R20, BG32 and G0000. Wine tag with florals and rose gold foiling. Video tutorial included. This is a wine tag, perfect for presenting a wine gift, a hostess gift or for parties. This wine tag was stamped and then heat embossed. I ran it through my preheated laminator to add rose gold foil. The open areas were layered with Copic markers. I used a die-cut panel for the wine tag and layered it with the trimmed stamped panel. There are a few different ways to foil with and without a laminator. Here are some tips for foiling using a preheated laminating machine. Laminator and foil types are each different. I am using a YourStory laminator/book binder. It needs to be fully pre-heated (up to 5 minutes). Sometimes it works with sandwiching the foil between a folded piece of paper and sometimes it works better feeding the paper with foil directly without the folder. 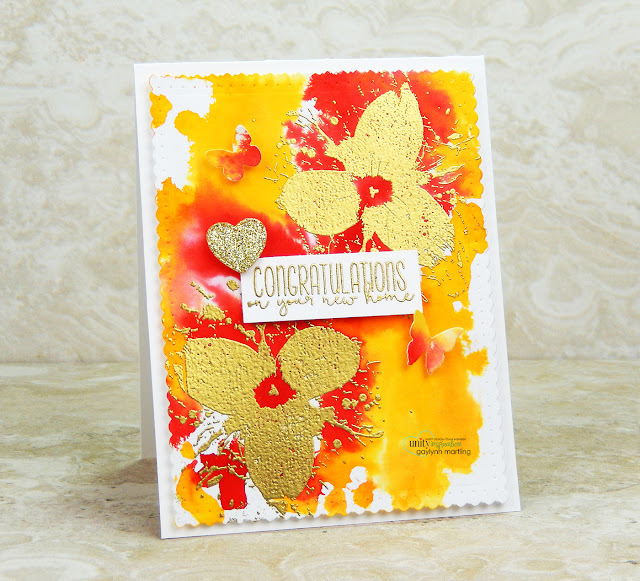 Before foiling with a laminator, have your stamping heat embossed and cooled. Or use printed images using a laser printer and then foil without a folder. Toner sheets can be used to foil die-cuts and pre-designed toner sheets can also be foiled. Carefully practice if using your laminator with foiling. Foiling without a laminator is an option using other techniques which will be covered in future foiling posts. For more of my foil posts, see foiling. 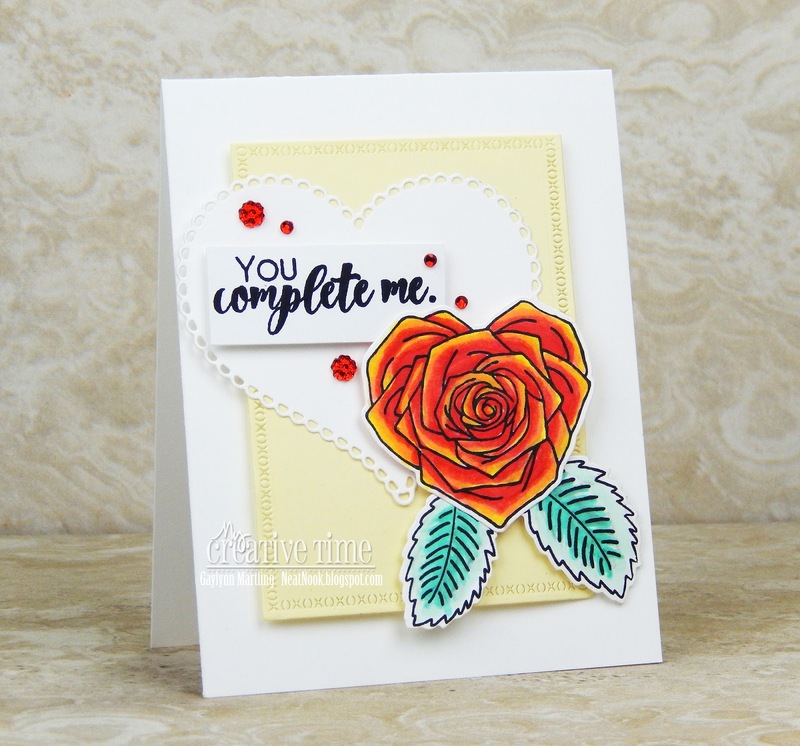 Supplies: Unity Stamp Co. Encompassed Beauty and Beautiful Forever & Ever 1/2019 KOTM, rose gold deco foil, YourStory laminator, VersaMark ink, embossing powder, heat tool. Hello. The MCT team is sharing Day 4 sneak peeks of the 87th Edition release. Sentiment: My heart is full because of you. I adore these new heart dies. They layer nicely and look so dainty and elegant. I decided to nest a couple of the hearts and pop up the center one. I added white splatters to the red hearts using acrylic paint mixed with water. Then I trimmed the background with the xoxo border dies. We will be giving away the sets we are showcasing each day to ONE lucky winner! For example, the set we are showcasing on Wednesday, Emma will announce the winner of that on Thursday and the sets we are showcasing on Thursday, Emma will announce that winner on Friday on my blog! ALL you have to do is leave a comment on each of our blogs! You are NOT required to comment on EVERY SINGLE blog, but the more you comment on, the more chances you have for winning! VERY IMPORTANT, PLEASE leave a way for us to contact you w/your comment just in case "YOU" are the lucky winner! For EXTRA entries, you can spread the word about this release on Facebook, tweet about it OR even Instagram it! #mycreativetime GOOD LUCK EVERYONE and let's start spreading the word! 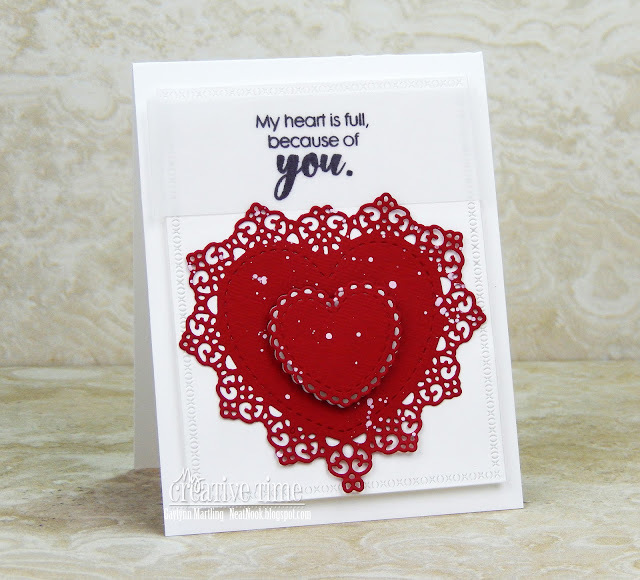 Supplies: My Creative Time Heart Doily Dies, You + Me, XOXO Border Dies, metal adaptor plate; vellum, cardstock, Sizzix Big Shot and Ranger archival ink. Please be sure to visit Miss Emma's My Creative Time blog for more sneak peeks. And check back tomorrow for the full reveal and blog hop. Thanks for visiting. Remember to comment for prize chances. Heat embossed foiling card + laminator + watercolor. 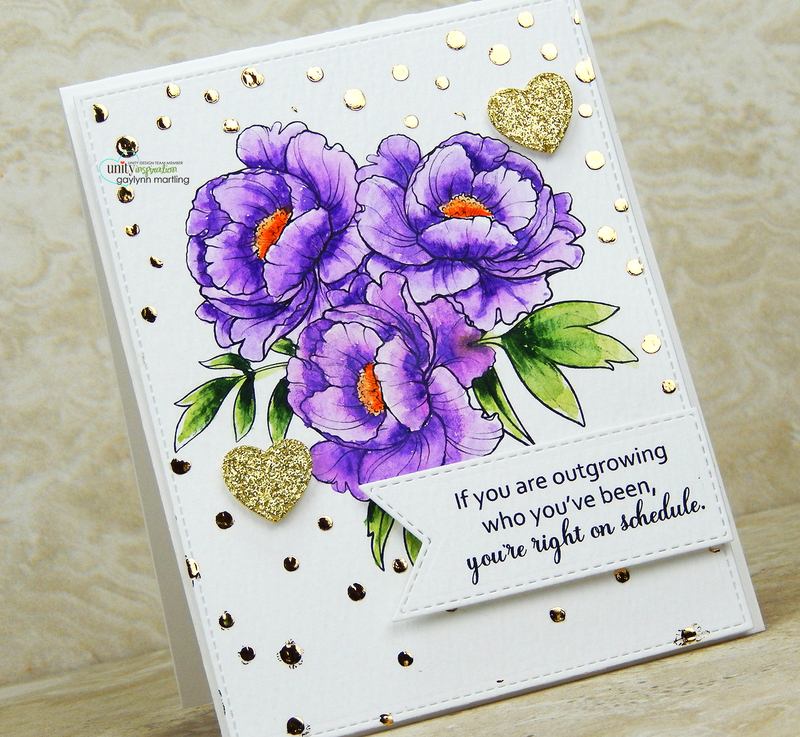 For Watercolor Wednesday, and I am sharing a watercolor floral card which also includes heat embossing and foiling. I used a laminating machine for this technique. Sentiment: You're great. I like you lots. 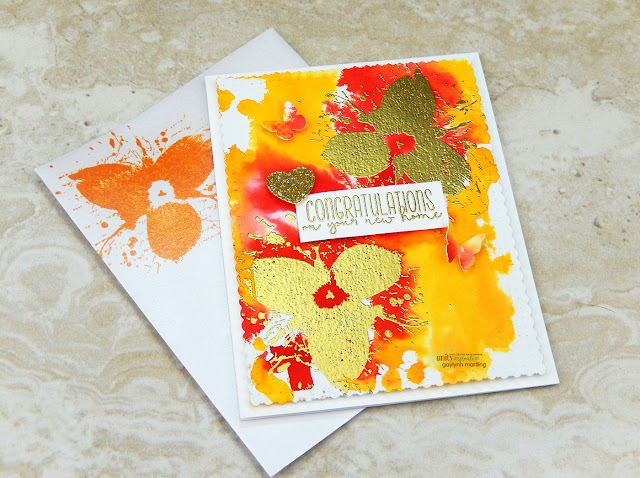 This card incorporates both foiling with heat embossing and watercolor. It was a two step process using smooth cardstock instead of watercolor paper. For this, I used very little water for the watercolor. Supplies: Unity Stamp Co. As We Go Along by Angie Blom, Gina K. Designs fancy foil in turquoise sea, MFT die-namics, Altenew watercolor half pans, YourStory laminator, 80 lb cardstock, VersaMark, white embossing powder, powder tool, gems and heat tool. Hello. The MCT team is sharing Day 3 sneak peeks of the 87th Edition release. 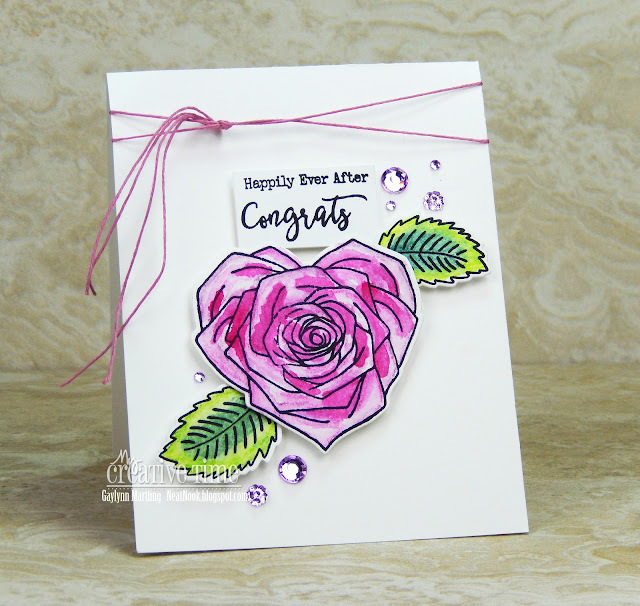 This is a wedding or anniversary watercolor card featuring a heart shaped rose flower. 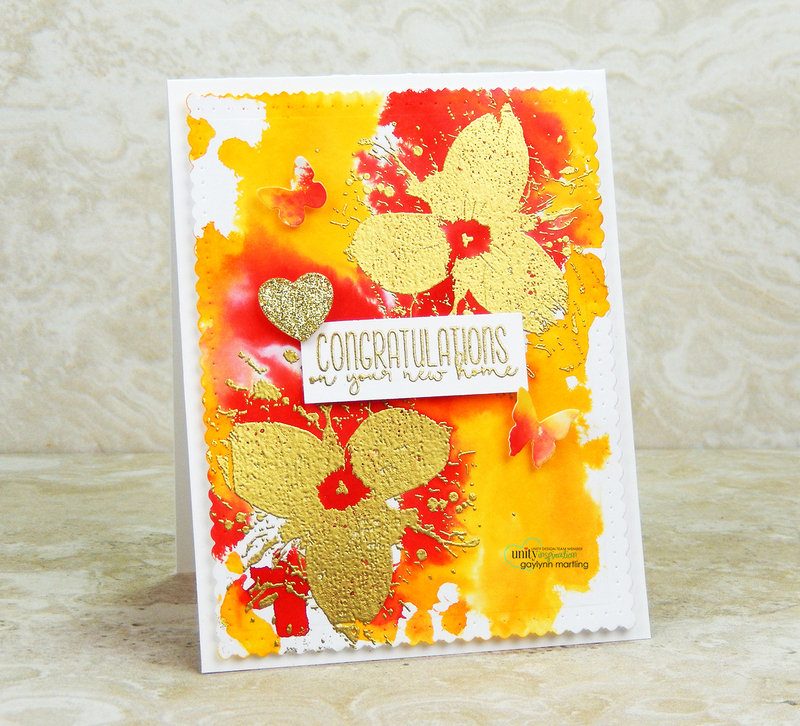 I love this pretty floral stamp set. It works for so many occasions. I decided to make this a clean and simple card with just the flower as the focus. I used a watercolor pencils for color. 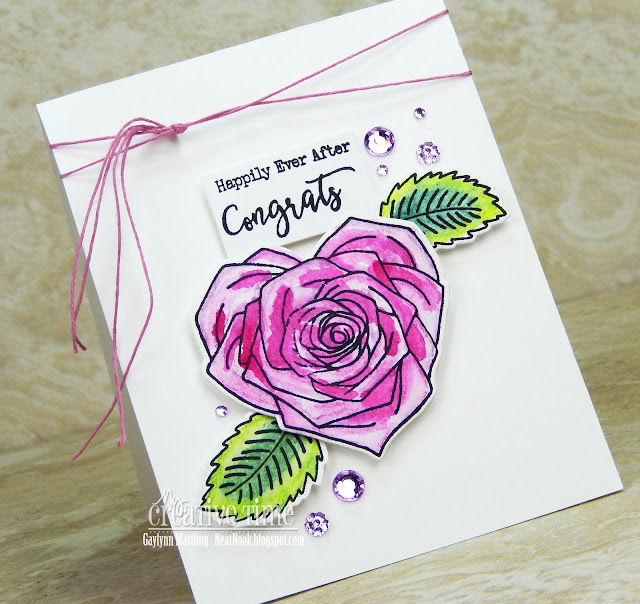 Supplies: My Creative Time Pretty Heart Roses, watercolor paper and Derwent Inktense watercolor pencils. Hello. The MCT team is sharing Day 2 sneak peeks of the 87th Edition release. 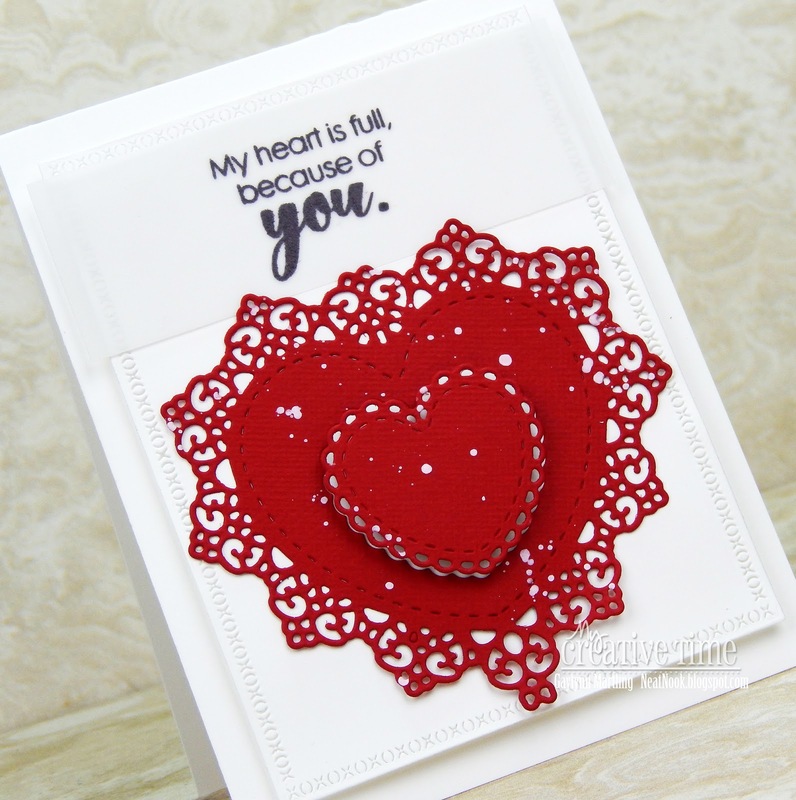 I wanted to make a heart shaped mini card which can be a small note, gift tag or card accent. And I like the look of the heart tilted to the side. It measures approximately 3.5" x 3". This could be for Valentine's Day, anniversary, wedding, party favors, thank you, bridal shower or any love occasion. I used vellum for the card base and layered with a white heart on the inside and the outside. Supplies: My Creative Time You + Me, vellum, cardstock, Sizzix Big Shot and Ranger archival ink. Hello. The MCT team is sharing Day 1 sneak peeks of the 87th Edition release. For this card, I am using the love block die along with the cute heart tag die. This fits great inside the tag heart. I can see it used so many ways. 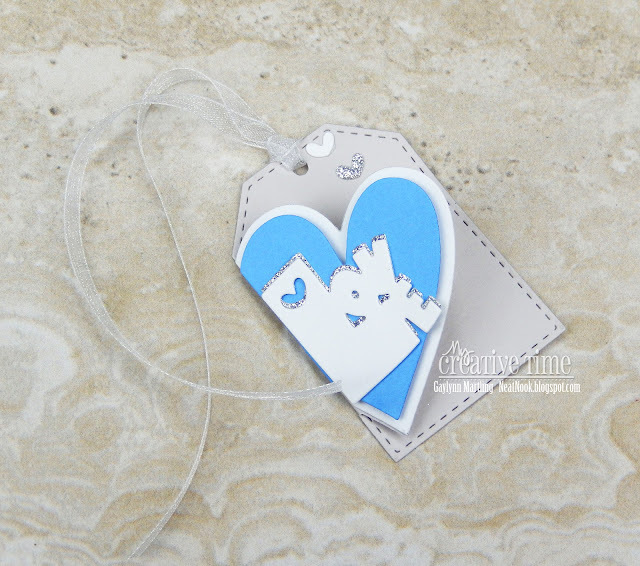 I added layers of cardstock in gray, white, blue and silver glitter for this tag. The tiny heart cuts out to make extra accents wherever you want. Tags like this are great for Valentine's Day, anniversary, wedding favors, bridal shower favors, card embellishments or for thank you tokens. 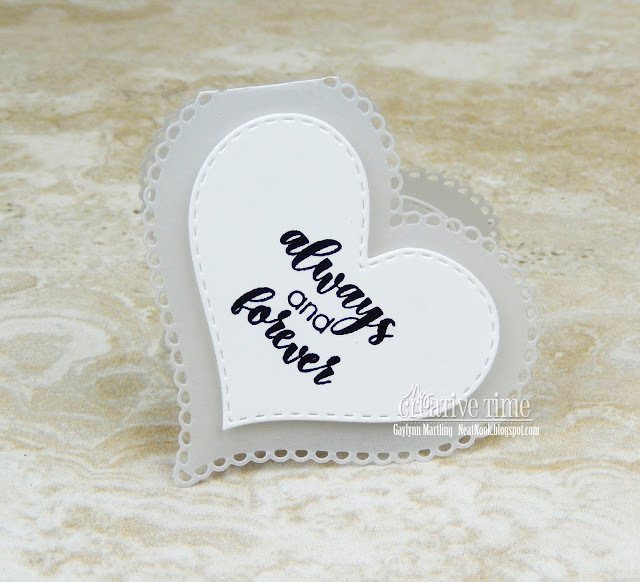 ***FREEBIE*** Starting Friday, January 18, 2019 at 8am PST we will be giving away this ADORABLE new "LOVE Block Die". This new die will be given to the FIRST 25 shoppers! If you are one of the 1st 25 shoppers it will automatically be added to your package at the time of packing/shipping. Once 25 shoppers come through, this stamp set will be available for purchase! So, if it's available in the store, you are not one of the 25. No exceptions will be made. This freebie is not part of the "Bundle" and will be sold separately! Supplies: My Creative Time Love Block Die and Cute Heart Tag Die; silver glitter paper, cardstock and ribbon. 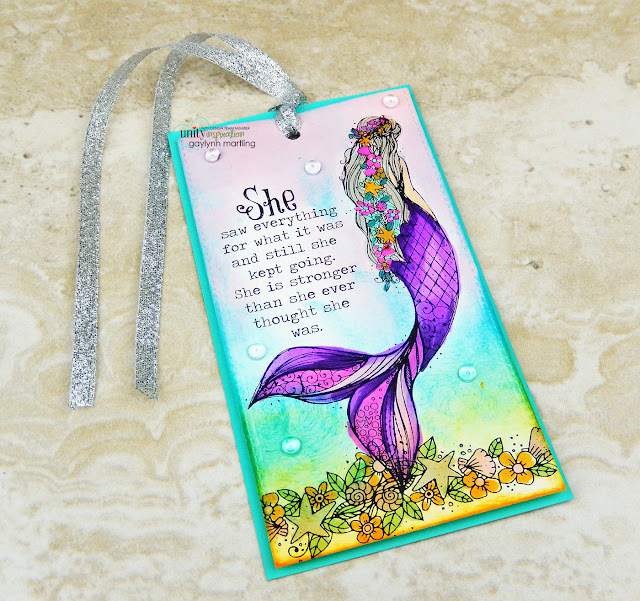 Inspirational mermaid gift tag and video tutorial. Here is an inspirational gift tag featuring a mermaid in a tropical scene. She saw everything for what it was and still she kept going. She is stronger than she ever thought she was. 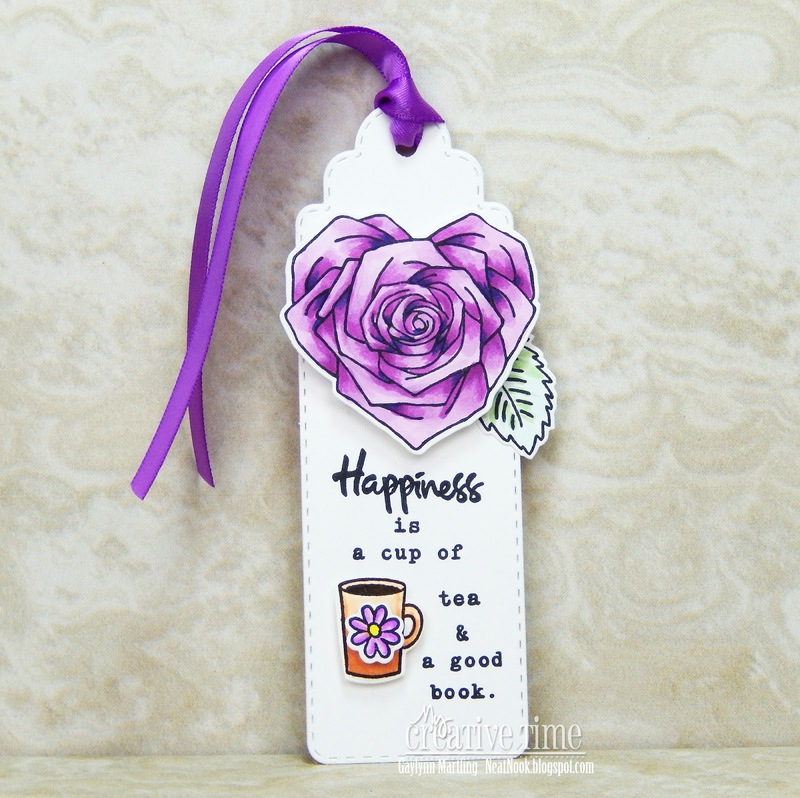 This tag was handmade, stamped and color was blended using distress ink and Copic markers. I tried for an under water look to it with blending and accents. It would be great for gift giving, packaging, card embellishment, as a wine tag or given just because. Supplies: Unity Stamp Co. She Mermaid, Ranger distress ink pads in spun sugar, peacock feathers and wild honey; Pretty Pink Posh small droplets, silver ribbon, MFT blueprints 23, Copic markers W3, G99, G21, BG18, BG32, V04, V09, RV04, RV11, YR00 and YR23. 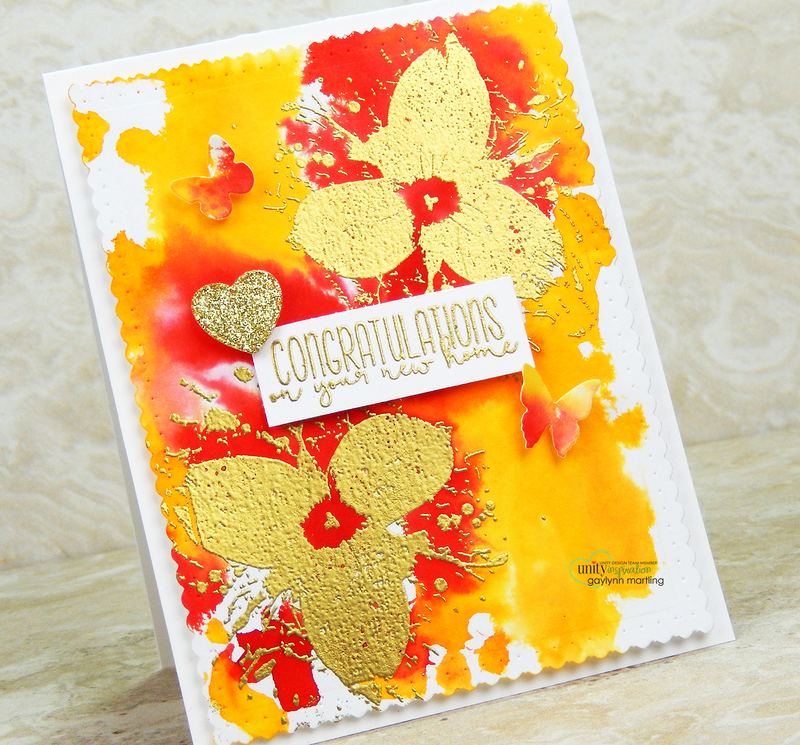 Woodgrain foiled hearts love card and foiling tips. 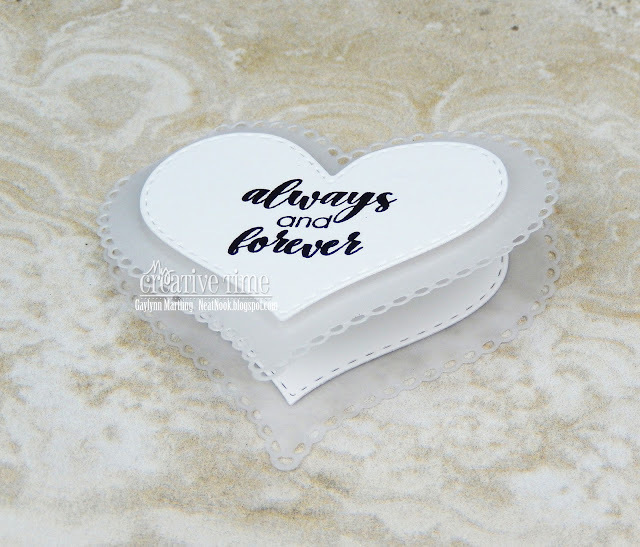 For all love occasion, here is a layered pop-up heart card with woodgrain and foil accents. Sentiment: Love is all you need. 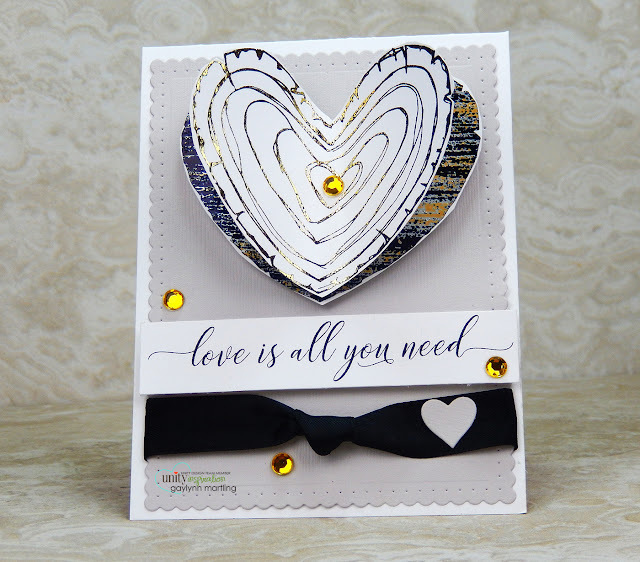 This card was created using two hearts, layered and foiled. The sentiment and ribbon were added as accent. I kept the colors simple in black, gray and gold. Supplies: Unity Stamp Co. 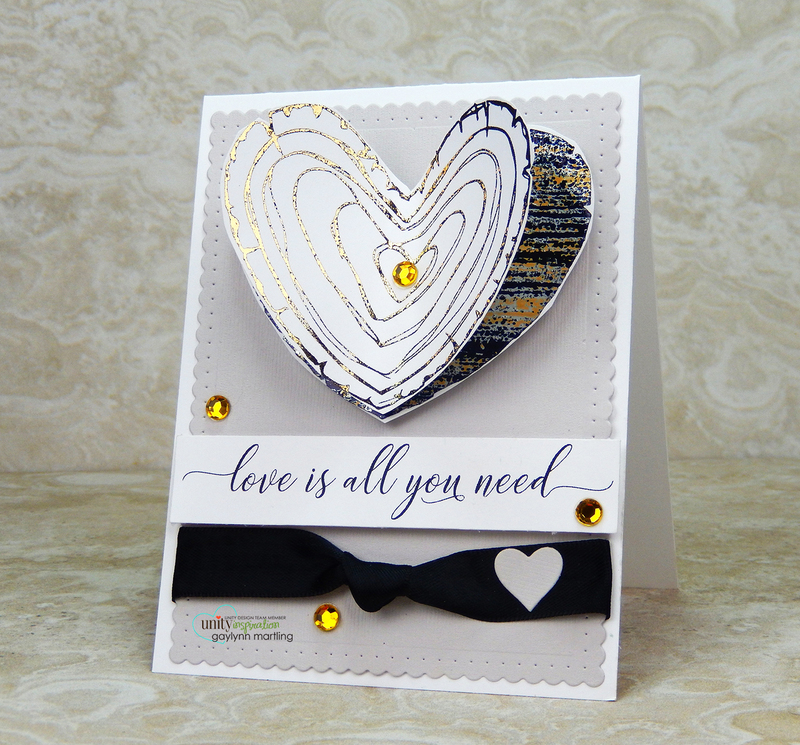 Wooden Heart, Prima patterned foil, iCraft gold deco foil, YourStory laminator, VersaMark ink, embossing powder, heat tool, Winnie and Walter dies, black ribbon, gold adhesive gems. 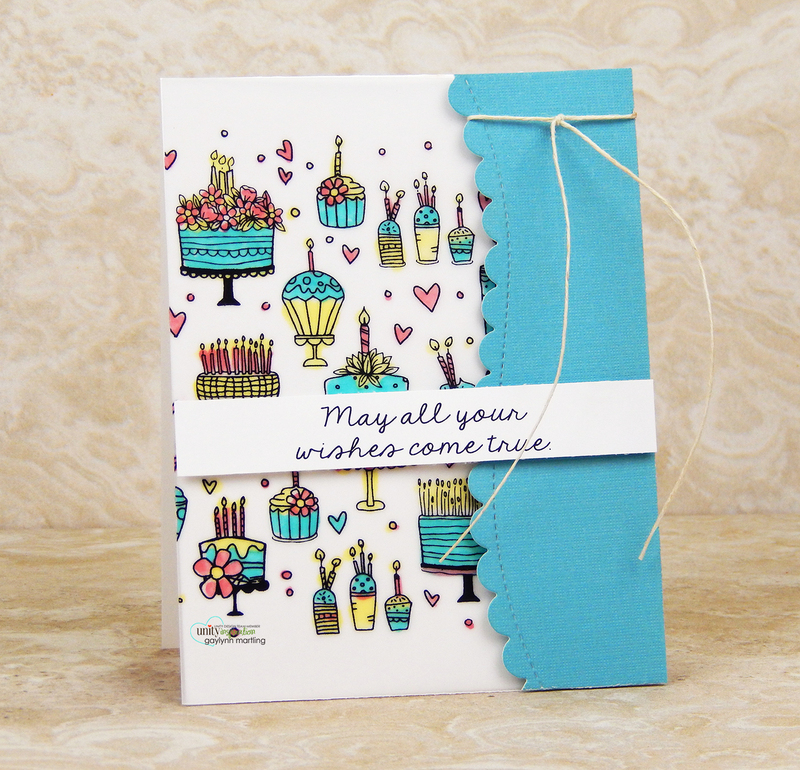 Creative card borders with foiling. Happy birthday to you balloons and cake card.